Sure, vacations are for relaxing. But they’re also for spending time together and making lasting memories. Looking to plan that bucket list vacation? Consider one of these epic experiences for a trip your kids will never forget. Seeing a giraffe or lion at the zoo is cool; seeing one in its natural habitat is a once-in-a-lifetime experience. Lots of safari lodges roll out the red carpet for families, with onsite kids’ programming and education centers that teach young ones about things like bush cooking and orienteering. Guests at Camp Jabulani, located within the Kapama Private Game Reserve in South Africa, can interact with its herd of rescued elephants and arrange bush walks and helicopter tours. The Big Five Family Safari Package at the Four Seasons Safari Lodge Serengeti includes two half-day game drives, a family cooking class and a hot air balloon safari (for ages 7 and up). But families can enjoy animal encounters even while cooling off in the lodge’s infinity pool; it overlooks a watering hole frequented by elephants, zebras, and other wildlife. Taking in the towering skyscrapers, bright lights of Times Square, and iconic beauty of the Statue of Liberty is a must for anyone. And there’s nothing quite like a Broadway show. But there are also many New York City attractions that fly under the radar. Check out Gulliver’s Gate, a 50,000-square-foot, interactive museum displaying miniatures of sites such as the Taj Mahal and Leaning Tower of Pisa. We also love the “Ocean Wonders: Sharks!” exhibit at the New York Aquarium. It houses its namesake fish and more than 100 other marine species in a 57,000-square-foot building. Travel through some spectacular scenery on a mode of transportation loved by kids of all ages. Operating between mid-April and mid-October, the Rocky Mountaineer offers several train tours that wind their way through the Canadian Rockies. On-board hosts share information about the dramatic vistas outside the windows and can also make special arrangements to help keep young children entertained (think toys and puzzles). The 11-day “Journey through the Clouds” excursion travels between Vancouver and Calgary and offers plenty of soft adventure ideal for families, including canoeing on Lake Louise and a raft float on the Bow River in Banff. Use pedal power to explore everything from charming countryside to historic cities. Backroads’ Holland and Belgium Family Bike Tour (offered during summer months) travels over relatively flat terrain, past windmills, canals, and other postcard-worthy Low Country landmarks. 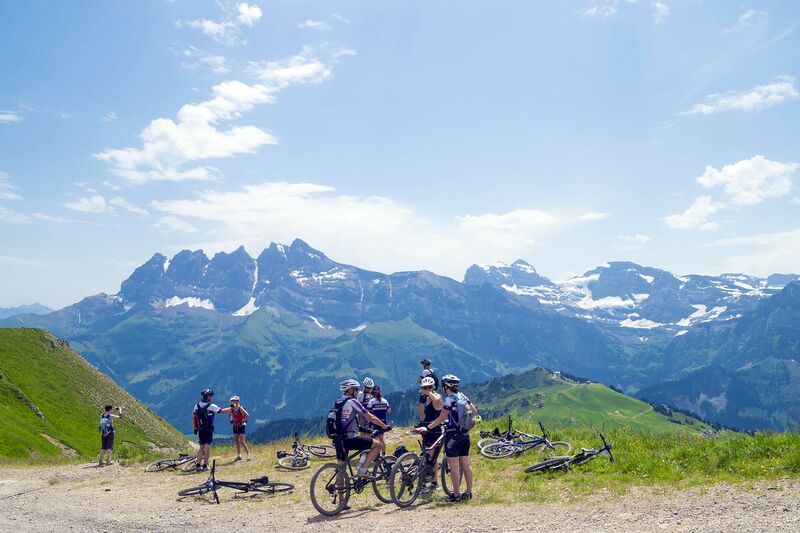 The company also offers a Switzerland tour that combines biking with other modes of transport, such as gondola and cogwheel train rides. On Butterfield & Robinson’s Florence and Tuscany Family Adventure, biking will help you burn off all the calories consumed during gelato tastings, private lunches with local families, and strolls through Italian markets. 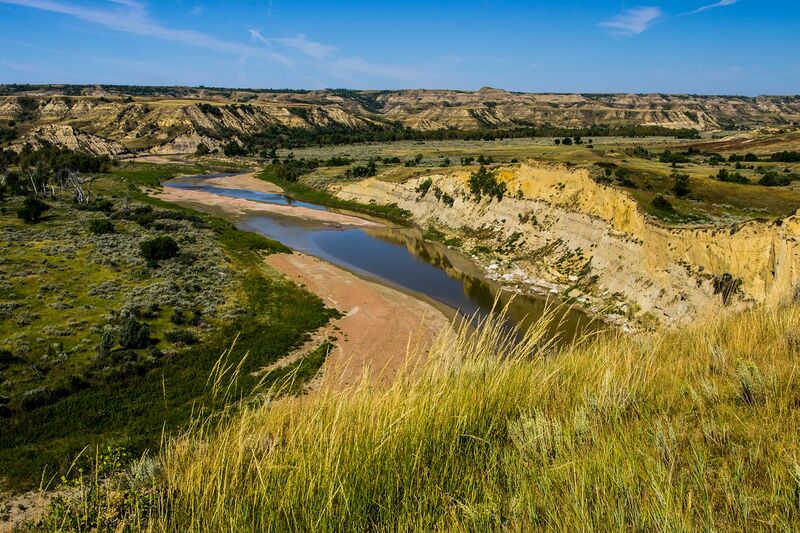 There are 60 national parks in the United States, ranging from well-known spots such as Grand Canyon National Park to less-frequented gems like Theodore Roosevelt National Park in North Dakota. Families visiting Utah’s Zion National Park can make their home base at Zion Lodge, the only hotel situated inside the park. It offers nightly ranger-led programs during the summer, narrated tram rides taking in the park’s majestic canyons and cliffs, and easy access to family-friendly hiking trailheads. The Lodge at Bryce Canyon enjoys a similar only-hotel-inside-the-park status at Utah’s Bryce Canyon National Park, making it easy for families to set off on hikes, drives, and other adventures to explore the park’s magical columns of weathered rock, known as hoodoos. On the East Coast, Virginia’s historic Skyland Resort is located at the top of Shenandoah National Park’s picturesque Skyline Drive. Who’s never dreamt about sailing the high seas? On a Caribbean cruise, you can do just that-and visit some tropical islands brimming with unique culture and interesting wildlife. Princess Cruises’ Caribbean Princess sails year-round in the Caribbean and features newly redesigned Camp Discovery youth and teen centers that draw on the company’s partnership with Discovery Inc. Families can also take part in Discovery- and Animal Planet-recommended shore excursions, including turtle encounters in Barbados and an underwater scooter adventure in St. Thomas. 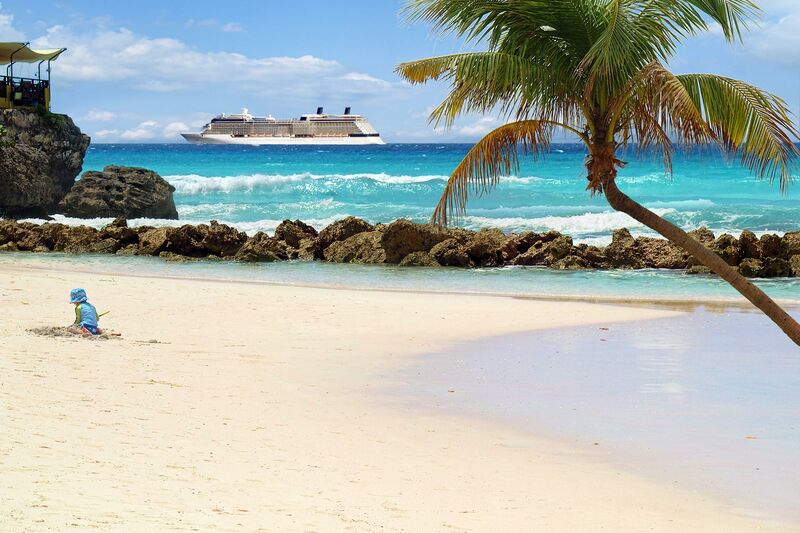 Norwegian Cruise Line offers a seven-day western Caribbean cruise with stops in Roatan, Honduras; Costa Maya and Cozumel, Mexico; and Harvest Caye, Belize. At Harvest Caye, families can snorkel the world’s second-largest barrier reef, go ziplining, or just relax on the seven-acre beach. In November 2018, Royal Caribbean’s Symphony of the Seas-the largest cruise ship in the world-will begin sailing seven-night cruises to the Eastern and Western Caribbean from Miami. The ship houses the two-level Ultimate Family Suite, which features an in-room slide, floor-to-ceiling LEGO wall, and a 212-square-foot balcony with table tennis and a full-size whirlpool. The world looks a little different from atop a horse, and a vacation to a dude ranch will help kids get in the saddle. Tanque Verde Ranch in Arizona offers a true escape from life as usual, especially since there aren’t any TVs in the guestrooms. Its daily kids’ program boasts a full slate of activities, and young visitors ride the same horse each day to encourage comfort and familiarity. Tumbling River Ranch in Colorado offers kids’ programs for ages 3 through teen, with different activities geared toward each age group. That means things like pony rides for the youngsters, archery and rodeo practice for elementary schoolers, and fly fishing and overnight pack trips for teens. Wow the kids with a truly magical visit to the Happiest Place on Earth. Book an overwater bungalow at Disney’s Polynesian Village Resort, where you’ll enjoy prime views of the Magic Kingdom’s nightly fireworks show. Or, reserve a suite at the Four Seasons Resort Orlando, where the kids can careen down waterslides, float in the lazy river, or shoot hoops when they’re not at the parks. Make the most of your theme park time with a private VIP tour; Disney tour guides customize the day based on guests’ interests, helping them efficiently visit multiple parks and bag their must-do rides and experiences — which might include a visit to the new Toy Story Land! Little ones can get their glam on with an appointment at the Bibbidi Bobbidi Boutique, then dine with Disney princesses at Cinderella’s Royal Table, inside the Magic Kingdom’s iconic castle. Young swashbucklers can get a Captain Jack Sparrow-style makeover at the Pirates League before heading out on a Pirates & Pals Fireworks Dessert Voyage or Pirate Adventure Cruise. Though it’s a small country, Costa Rica is home to about 5 percent of the world’s biodiversity, and about a quarter of this Central American country is protected. Tortuga Lodge & Gardens offers a Rainforest Family Expedition package that helps guests explore the rainforest, creeks, and beaches of Tortuguero National Park, where they might spot caimans, monkeys, and green turtles. Families looking for more adventure should try the Arenal Volcano area; make Manuel Antonio or Tamarindo your home base for surfing and other beachy activities. 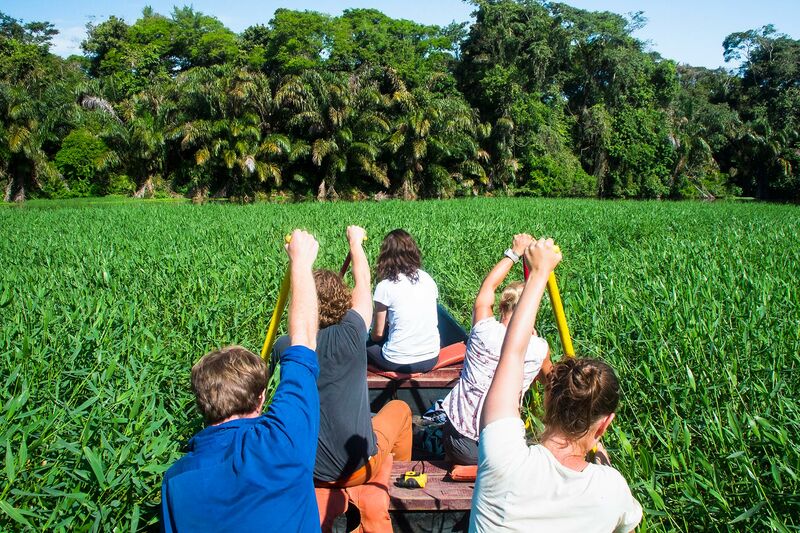 Costa Rica Expeditions can customize tours based on families’ interests, and Austin Adventures offers a popular family tour that takes participants from jungle to beach.